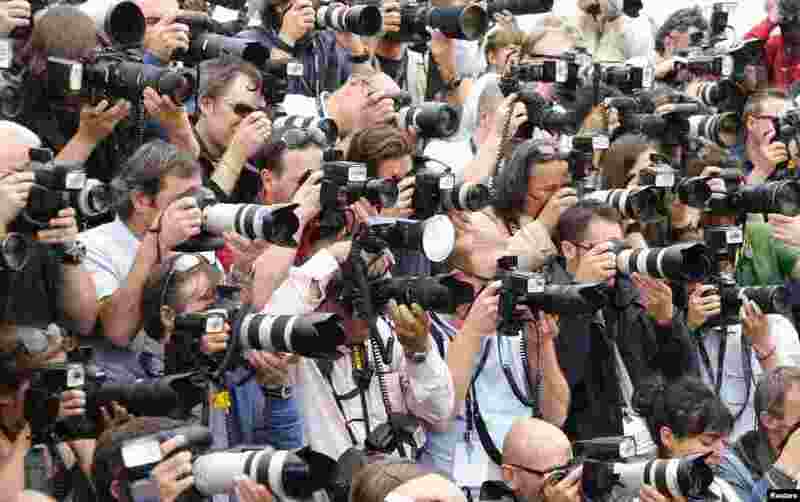 5 Photographers work during a photocall for the film "Blood Ties" at the 66th Cannes Film Festival in Cannes, France. 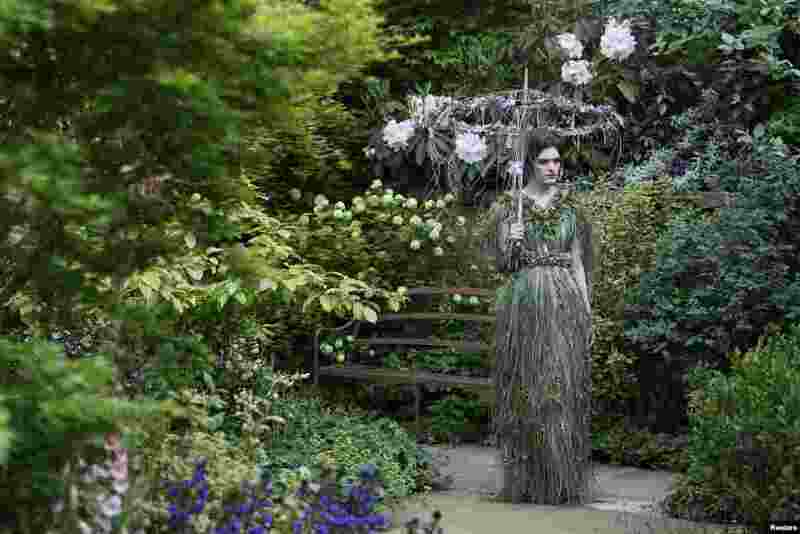 6 A women wearing a dress of fresh flowers designed by Zita Elze poses for photographers in the M & A Centenary Garden during media day at the Chelsea Flower Show in London. 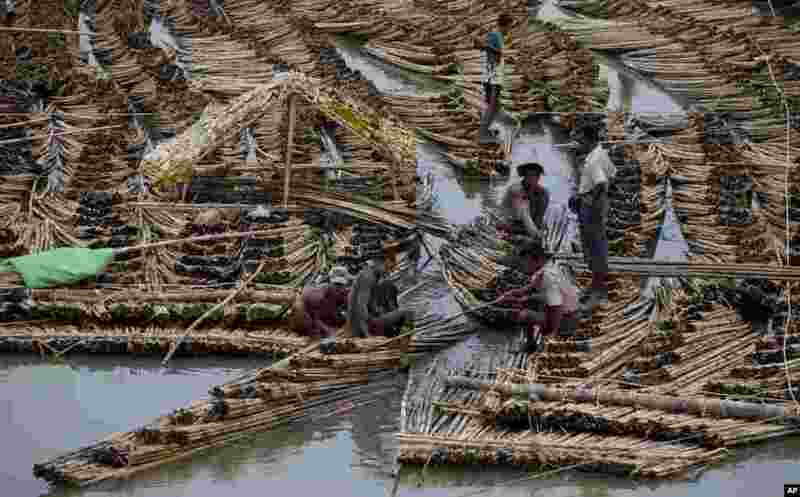 8 Workers push sections of a huge bamboo raft as others try to dismantle parts of it in Sittwe, northwestern Rakhine State, Burma.